“Fake news” isn't a new phenomenon, but it began trending in 2016 during a contentious presidential election. Particularly with the rise of social media, people saw the dangerous impact this movement had, and continues to have on society. People easily bought into false stories, shared them online and even acted on them. Because of this, the importance of fact checking and analysis has surged, and the responsibility falls on both news consumers and practitioners. Additionally, the term fake news has been used repeatedly to inaccurately label news that people do not agree with or do not like. By learning to identify the differences between truth, satire, falsity, dislike, error, and learning why fake news has gone viral, individuals can enhance their media literacy skills. This will in turn improve the media landscape because news consumers will be required to become proficient in knowing how to produce, interpret, and share news in an ethical and honest way. The overused and misapplied term is causing great harm in three ways. First, news consumers are believing ‘fake news’ stories to be true and sharing these falsities across social media platforms. Second, ‘fake news’ creators continue to produce false information that appeals to an easily-led audience. And third, the combination of actual ‘fake news’ being shared, and the misuse of the term is causing great damage to the journalism industry — a service crucial to American democracy. 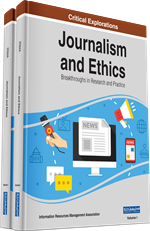 There are ways to stop the spread of ‘fake news.’ Those who consume news, as well as journalists, need to take to responsibility in stopping the proliferation of ‘fake news.’ There are digital tools available, which will be discussed in this chapter. The first step, though, is understanding why the phenomenon has gone viral, which is in part due to social media. In November 2016 Eric Tucker, a marketing professional who then had 40 Twitter followers, sent out a tweet that read, “Anti-Trump protestors in Austin today are not as organic as they seem. Here are the busses they came in. #fakeprotests #trump2016 #austin.” Embedded in his tweet were three photos of parked tour busses. His tweet was shared more than 16,000 times on Twitter and was cross-shared on Facebook, where it was liked 350,000 times, causing a huge uproar. His post, however, was incorrect and has since been deleted. With social media, it only takes seconds for false information to spread like this. A study conducted by the Shorenstein Center on Media, Politics and Public Policy explained three factors contributing to the psychology of ‘fake news.’ First, news consumers tend to trust information when it comes from familiar sources, and from sources that align with their own worldview. Additionally, individuals are biased information seekers. This means they prefer information that confirms their existing views. Finally, people are critical of new information when it comes from an opposing or unfamiliar source, and often will ignore this information (Lazer, 2017). Through these means ‘fake news’ creators generate content that resonates with its targeted audience. Tucker’s tweet shows how easy it is to transmit information in the Digital Age, and how common it is for audiences to choose to either accept or reject that information, depending on whether it confirms or rejects their personal biases. It is unlikely that the spread of ‘fake news’ cannot be prevented, but it can be slowed with more media literacy and fact checking skills.